Hailed as an environmentally friendly part's finishing technique, the powder coating process would soon lose that much-advertised trait if any remaining particulates were allowed to settle like a fine layer of dust. Essentially, we talk about the coating cubicle as a well-ventilated space, but it's more than that. It's an airflow management zone, a place that automatically collects any powder that isn't electrostatically gripping the workpiece surface. 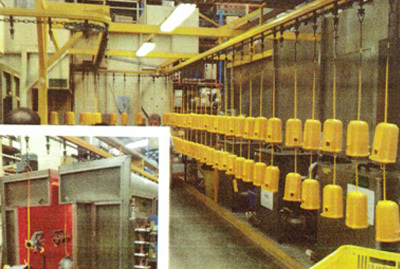 In this sequence, the walk-in booth uses a filtered and air-dried compressor to discharge the coating. As it accumulates on the surface of a part, the airflow management system actuates a fan. In this manner, any overspray is ejected from the booth, but not lost, not in any way. At this point, the powder has been expertly ejected, exposed to an electrostatic mechanism, and then the overspray has been collected. Believe it or not, the powder recovery system gets more complicated after the dust is collected. If we're talking about one colour, then the recycling hopper won't be stressed by the powder collection configuration we just described. However, what if there are several powder types in use that day, perhaps for different jobs? The solution is to use advanced dust collectors and cyclones. On the collector, special filter cartridges separate different powder types and send those streams to their assigned collection hoppers. As for the cyclone equipment, this gear uses centrifugal force and gravity to separate powder streams according to their relative density. Primarily, then, the dust clouds are separated from the air stream. 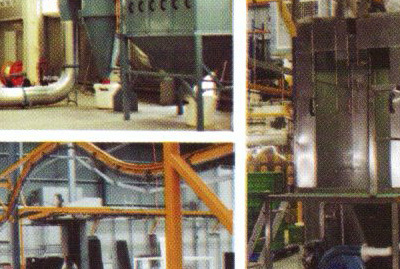 As the powder accumulates in the separation ductwork, dust collector filters and shaped cyclone vessels then use sizing and density separation principles to further split the different powder types. 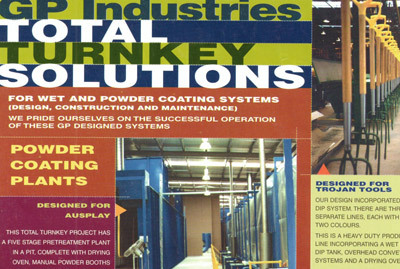 As anyone can clearly see, there are benefits to be gained when dust collectors and cyclones are incorporated into the powder reclamation ductwork. First of all, the powder overspray is efficiently removed from a strong air stream so that it can be bagged and recycled. Finally, the filtration cartridges and cyclones go a step further, as they separate the powders by size, type, and density.